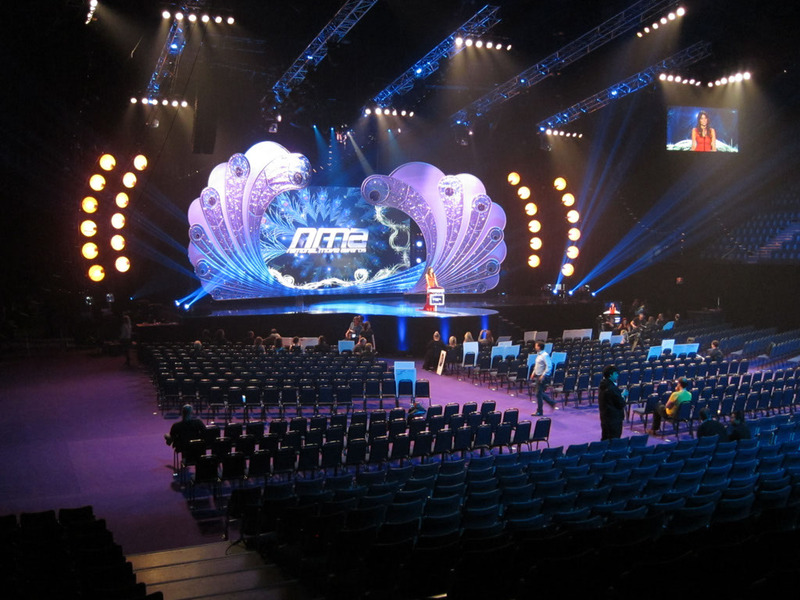 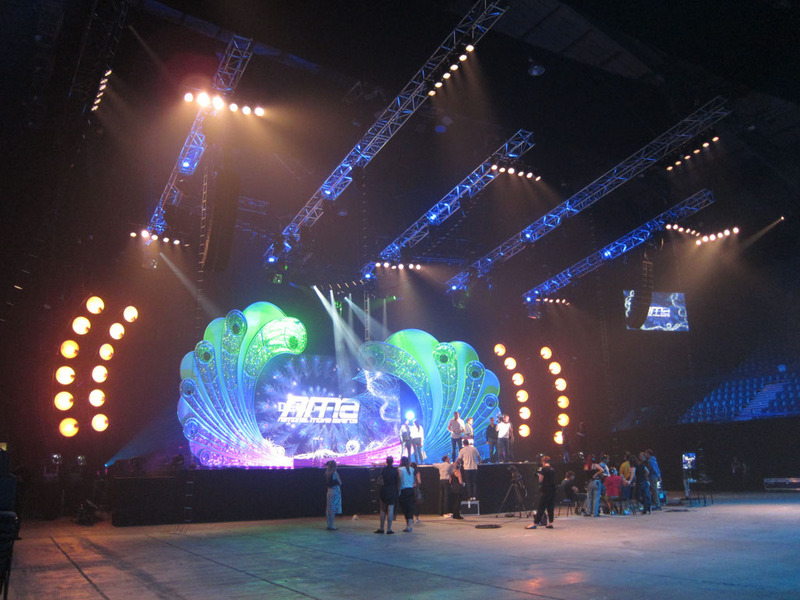 ITV’s National Movie Awards this year came from Wembley Arena where thousands of invited celebrities and guests were treated to performances from Take That, JLS and Eliza Doolittle. 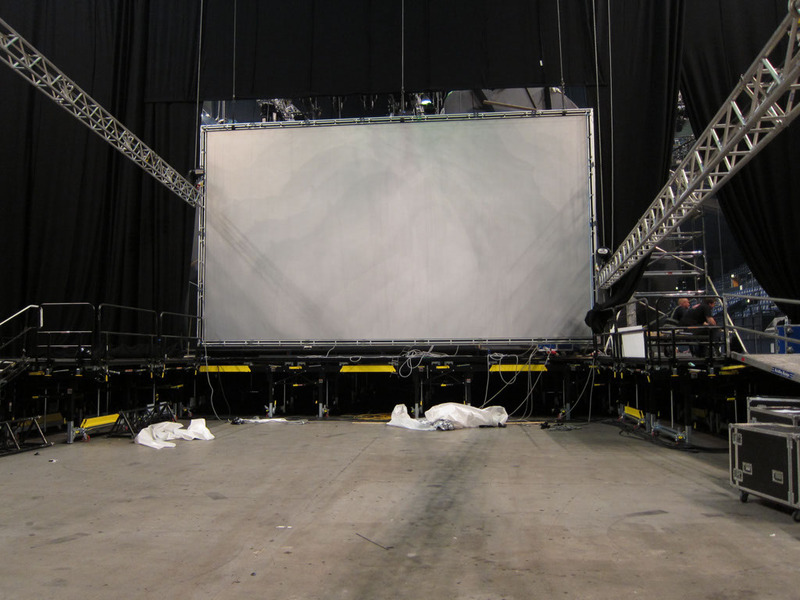 XL Video supplied projected side screens and a large rear projection screen integrated into the set and driven by 3x Barco FLM HD20s. 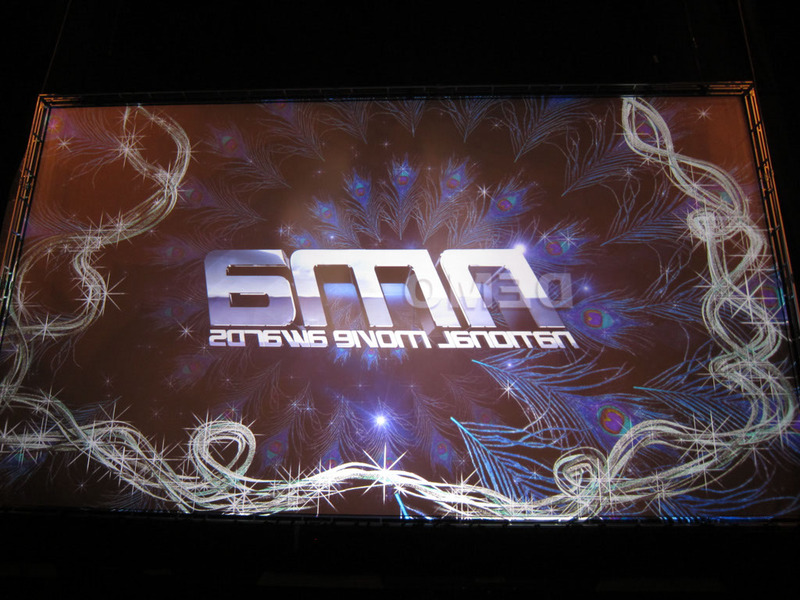 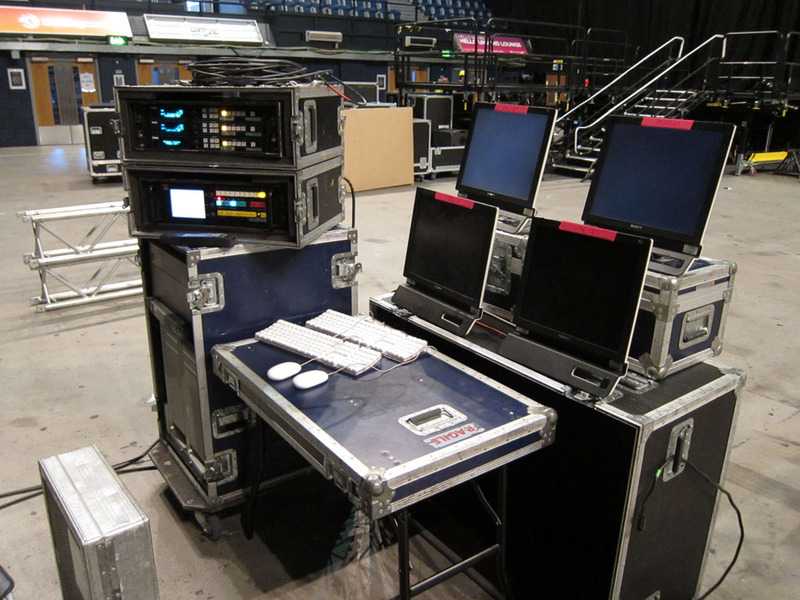 James was on site to look after the media server and control hardware for Jonathan Bond who operated the show. 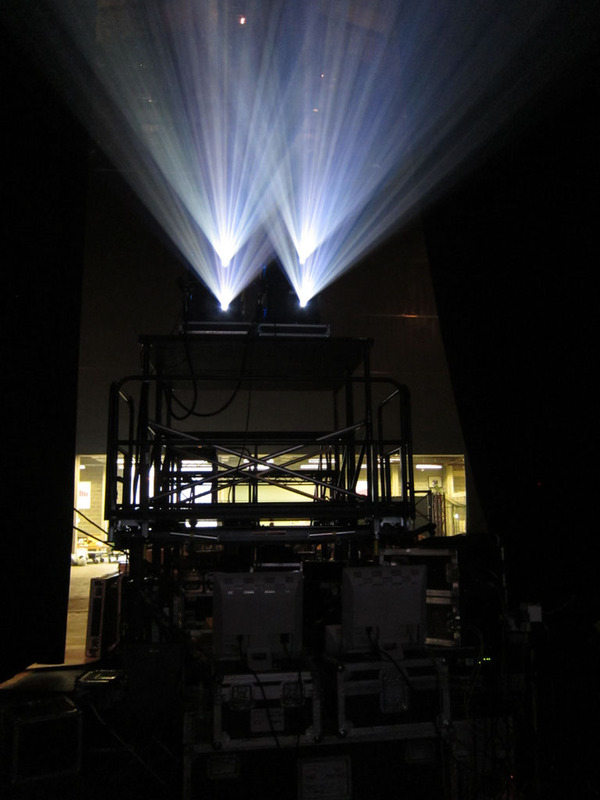 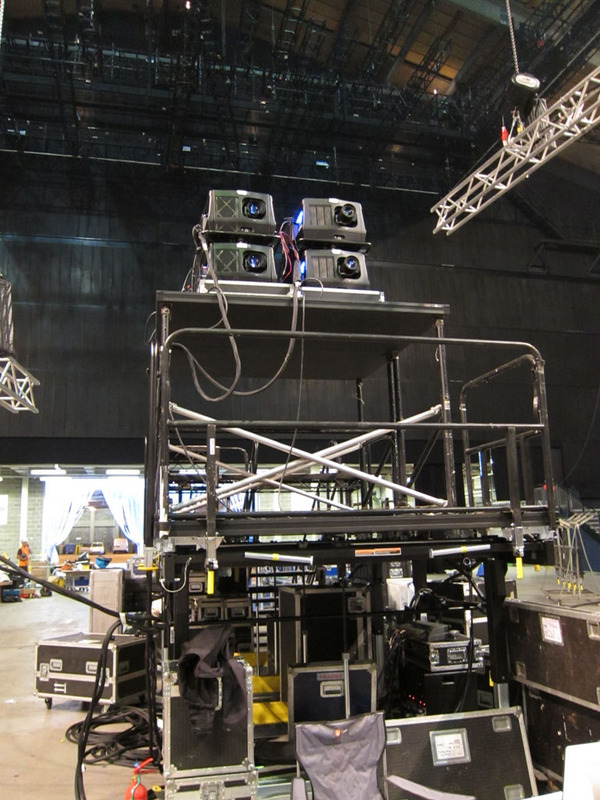 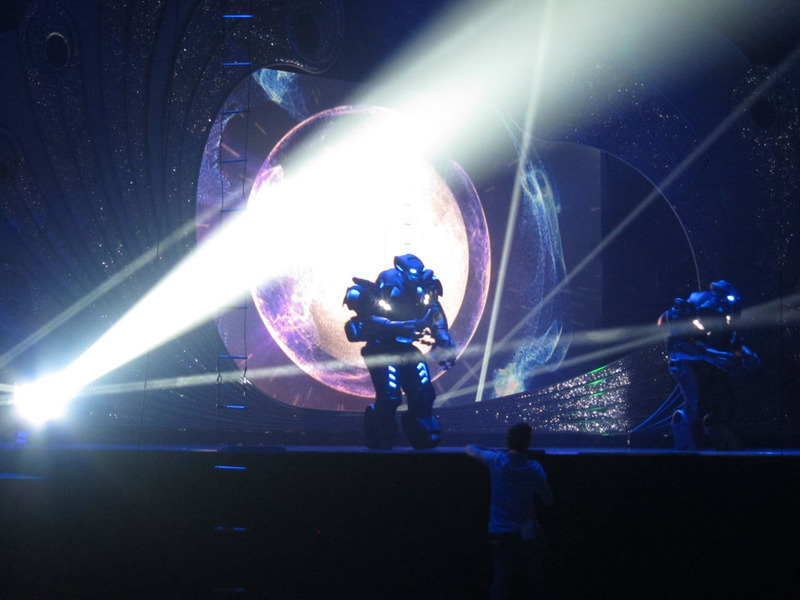 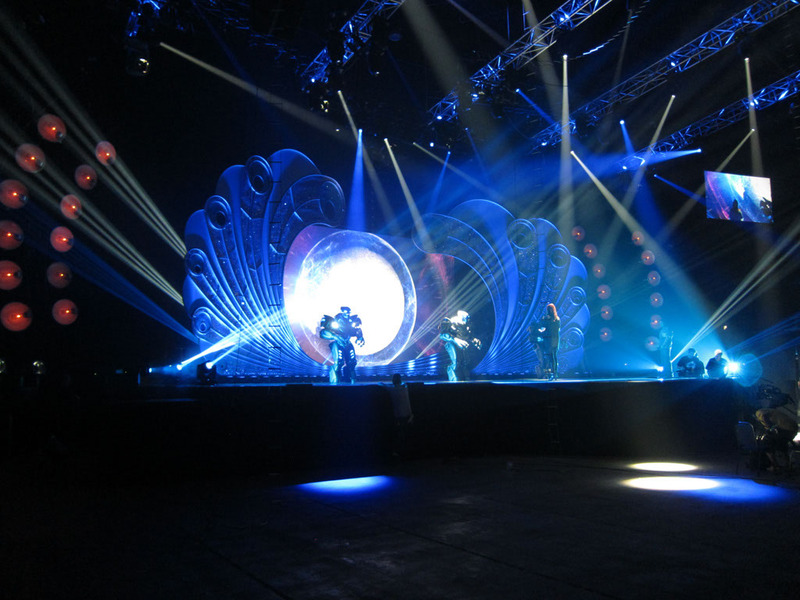 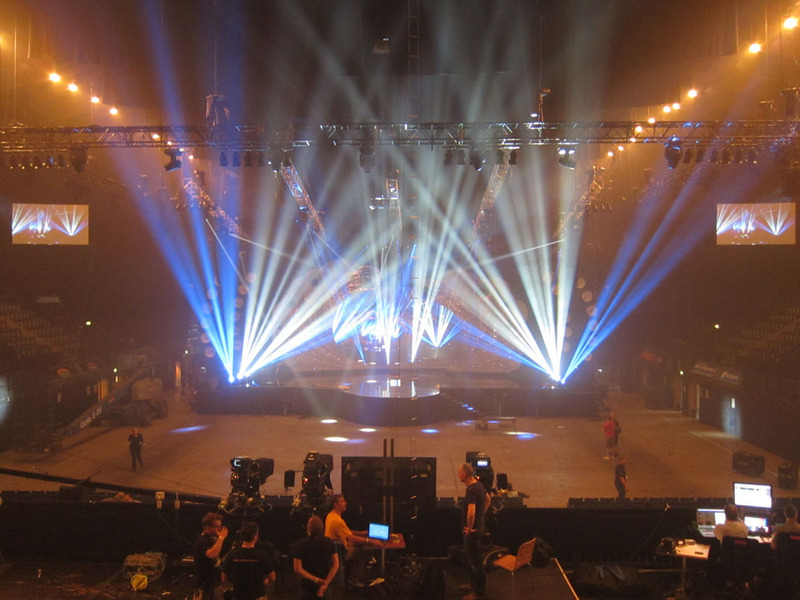 The projectors were rigged by Kevin Parry and Bjorn Parry, along with James who lined up the rear projection system. 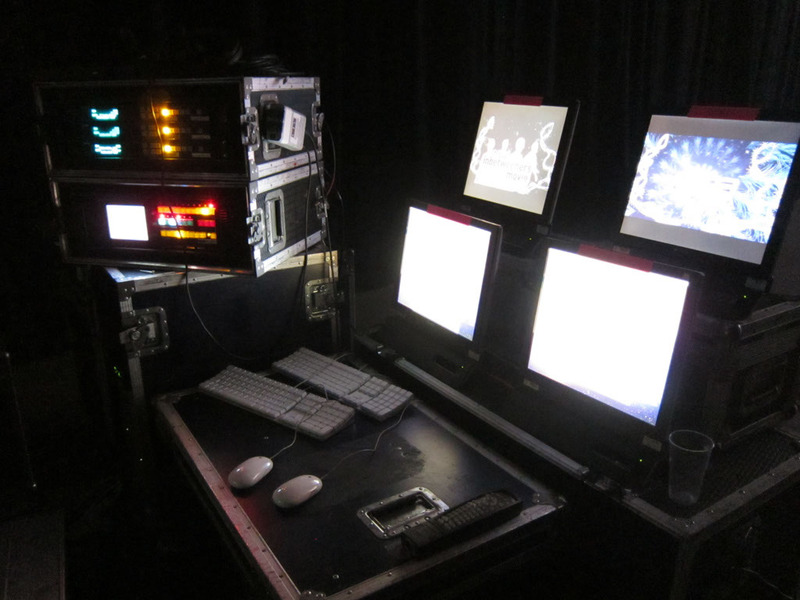 Basic Monkey provided a Catalyst media server to run the lectern video loop, the safest solution!